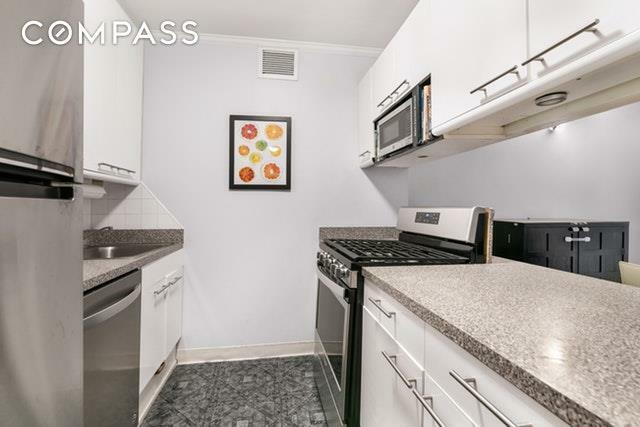 A wonderful place to call home, this spacious one bedroom apartment has tons of great features!A pass-through kitchen has brand new stainless steel appliances (just installed), and lots of cabinets and countertop space. The large living room faces west on a higher floor which allows for afternoon light to pour in. This room can be set up many ways including having a dining area (pictured here) in addition to a living space. 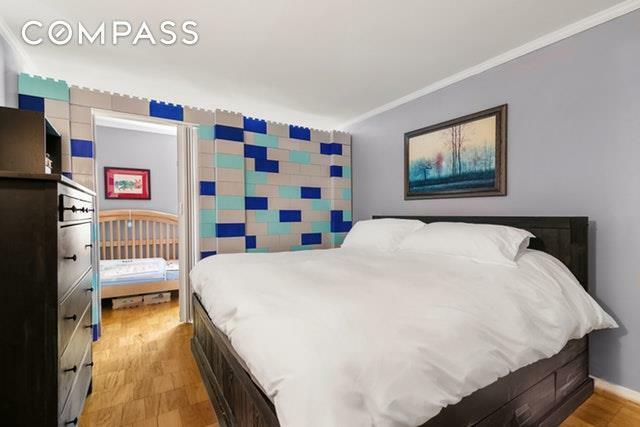 The king sized bedroom is currently configured with a removable wall that enables a nursery/office space within the room! 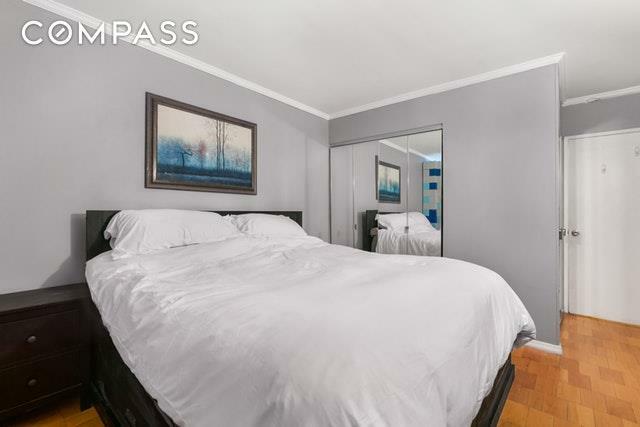 There are two large closets in the bedroom and one in the hallway; bring your stuff. The Soundings is the best boutique condo building in Battery Park City. 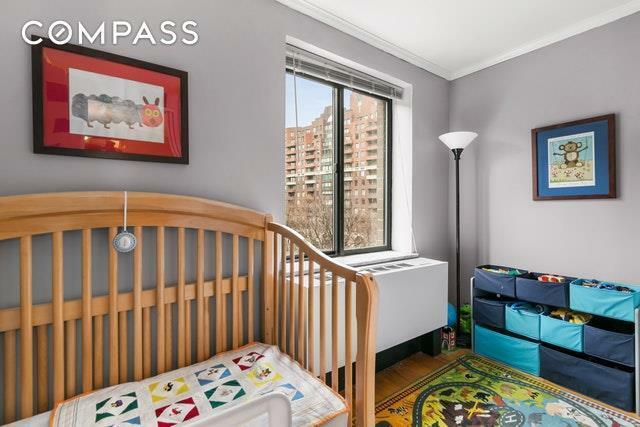 From the friendly doorman, to live in super, gym, roof deck, lounge, children's playroom, dance studio, storage, bike storage, and attached garage your every need is fulfilled. Perfectly situated in Battery Park City, you are a short walk from, grocery stores (Gristedes, Battery Place Market, Whole Foods), restaurants (Mir-a-mar, El Vez, Parm, PJ Clarkes, Hudson Eats, Inatteso, Blue Smoke, Pick-a-Bagel), parks, the riverfront esplanade, entertainment (Regal Cinemas), and shopping (Bed Bath and Beyond, Barnes and Noble, and the Brookfield Mall). Getting around couldn't be easier take advantage of the free Downtown connection, M20, M9, and all trains close by! Listing courtesy of Andy Klima of Compass.